Last week lemons were on sale at the grocery store so I picked up a whole bag of them. There are tons of things that you can use lemons to make. A bit of fresh squeezed lemon juice adds brightness to so many foods. You can add it to sweet or savory things, it mixes really well with lots of herbs - my favorites are thyme and rosemary. Unfortunately, I couldn't find a rosemary plan when I was buying some herbs to put in my garden this year. Speaking of herbs - if you knew how cheap and easy they were to grow, you wouldn't pay the ridiculous prices for them in the store. Pick up some small herb plants or seeds and plant them. For a total investment of under $15, I have oregano, basil, thyme, sage, cilantro, and flat leaf Italian parsley growing in my garden right now. And my neighbor gives me chives and mint when I want them or I would have planted those too. You can grow them in pots in your kitchen or on your patio or mix them in with flowers in your flower beds - this is what I do. 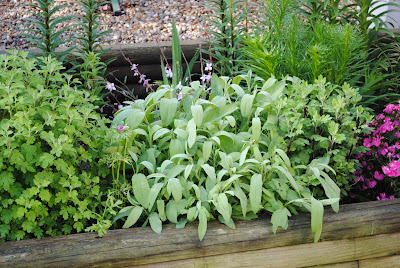 However, I will warn you if you are going to grow mint, put it in a pot as it can be invasive. Some of these herbs are even perennials, meaning they will come back year after year - my sage, oregano and thyme have been going for three years now. I cut them all way back this spring so they don't take over. 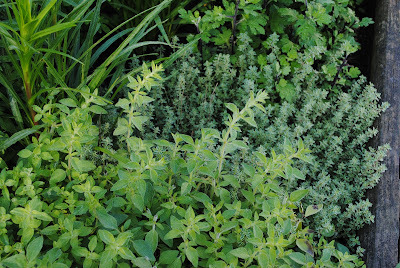 Both thyme and oregano spread almost like a ground cover. Plant them in a sunny spot and water as necessary, they are all pretty hardy and don't take much effort. 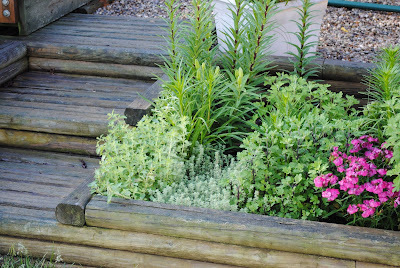 Make sure you keep your herbs from blooming or going to seed by pinching off the tops and cutting them frequently and they will continue to produce all summer. But anyway, back to chicken since that's what I'm supposed to be talking about. 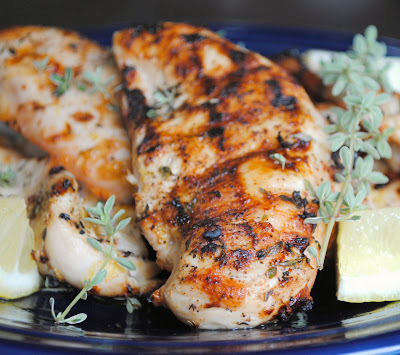 This lemon thyme chicken is really easy and only involves a few ingredients. Marinate, refrigerate and toss it on the grill and you have a quick, healthy summer dinner. I served mine with an edamame succotash that I'll post shortly. Trim any visible fat from chicken breasts and butterfly them to make thin cutlets of an even thickness. Rub olive oil on both sides and sprinkle with salt and pepper. Zest 1 lemon over the chicken. Squeeze juice of lemon over the chicken. Strip thyme off stems by holding the tips and running fingers down the stems, the leaves will fall right off. (I like to leave a couple sprigs to top the chicken after cooking.) Lightly chop and sprinkle over chicken. Cover and refrigerate for about one hour. Preheat grill to medium heat. Add chicken and cook about five minutes per side, chicken will easily release when its ready to be flipped. Cook until juices run clear. Remove to a plate and tent with foil for 5-10 minutes to let juices redistribute. 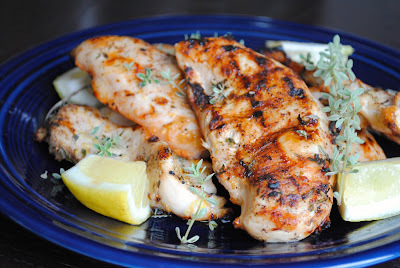 Squeeze juice of remaining lemon over chicken or serve with lemon wedges. Garnish with more thyme if desired. that looks wonderful can't wait to try it! Such a classic dish, great pictures! 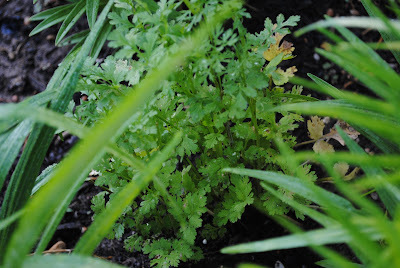 Looks delish and your herbs looks wonderful! !